Thomas Strudwick took another impressive win in Race 2 of Round 3 of the British Talent Cup at Snetterton Circuit, putting in a faultless performance as some key rivals faltered on Sunday. Polesitter and former points leader Rory Skinner was one as he crashed out the lead, as was Max Cook, who did the same from the same position. 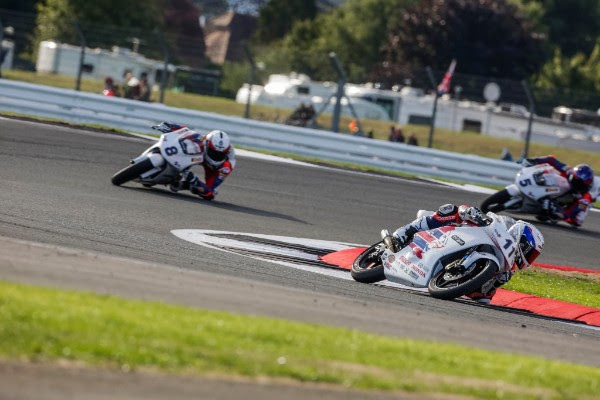 Joshua Whatley, meanwhile, took his second British Talent Cup podium after the battle for second went right down to the wire – with Brian Hart taking the third step after just losing out. It was Cook who took the holeshot, getting a great start off the front row and keeping it tidy as Strudwick threatened for second. Skinner was the man to lose out at lights out, initially dropping down to fourth as Joshua Whatley shot off the line to take third. The Scot hit back soon however, back ahead and then taking second before drama hit just ahead as Cook crashed out of the lead. Skinner and Strudwick were then just 0.041 apart at the front, with Whatley for close company and some daylight behind the top three back to Scott Ogden in P4. Skinner then began to put the hammer down as Strudwick, Whatley and Ogden squabbled over second, before the numbers 8 and 6 were just able to pull away to continue the battle. 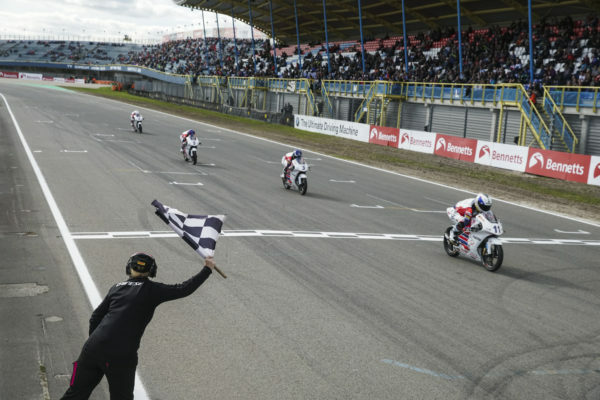 The drama wasn’t over there, however, as Rory Skinner suddenly then crashed out the lead – with the Scot able to get back in the race but well out of contention. Strudwick was then the man on the charge and able to escape at the front, with Whatley, Hart and Ogden in pursuit. The number 8 eventually crossed the line in clear air, taking 25 points and retaking the Championship lead. Whatley – the youngest rider in the field – took second for his second podium, outdragging Brian Hart to the line to leave him to complete the rostrum. Scott Ogden came home fourth, just behind the two after the three-way fight for the podium. Jack Dixon was the next man on the road as he beat off Cameron Horsman to lock out the top five, with Rory Skinner putting in an impressive latter half of the race to take seventh after his crash. Irish rider Rhys Irwin took eighth, with the top ten completed by Scott Swann and Lewis Paterson. After the drama of Snetterton, it’s Strudwick back in the driving seat after some impressive wins and solid consistency. Will that be the case next time out? 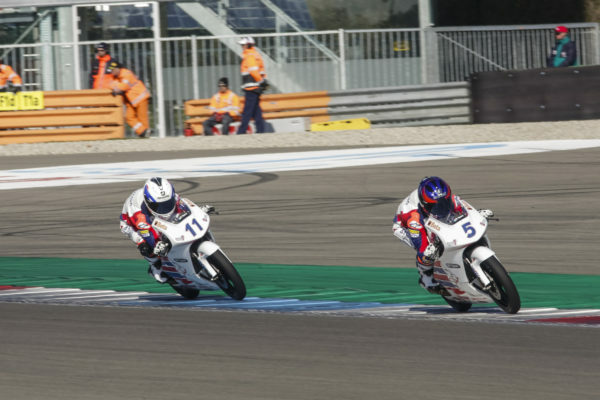 The British Talent Cup are back out to do battle at Silverstone Circuit for Round 4, racing alongside MotoGP™ at the British GP at the end of August.